Weddings - Create a fun Bridal Trivia experience. DJ Shows - Add trivia to your DJ dances and karaoke shows. 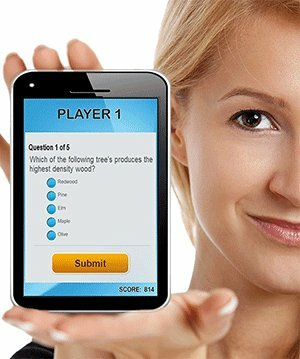 Restaurants, Bars/Pubs and Lounges - Draw in a crowd to your establishment with trivia. Arcade Rooms, Casinos, Cruise Ships - Enhance your entertainment nights with trivia. Custom Built Game Systems - DigiGames specializes in custom built for high end entertainers and also television and broadcasting applications. 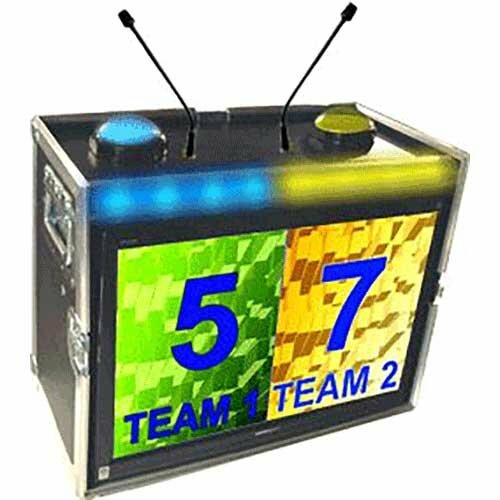 Ordering a trivia buzzer game system is your key to successful themed trivia nights and TV-style game shows. MORE DETAILS and pricing for Stand-alone wireless quiz buzzers "remote controlled"
Extended height wireless buzzer game show system for a high-end visual impact. Take It 'er Leave It is the best way to give away prizes at the end of the night. No more typical drawings from a hat when you can use a similar game like Deal Or No Deal to give away prizes? 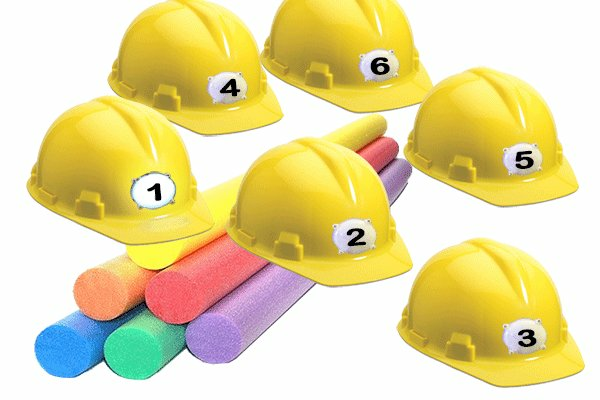 Our complete trivia systems include everything you need to be up and running right away. 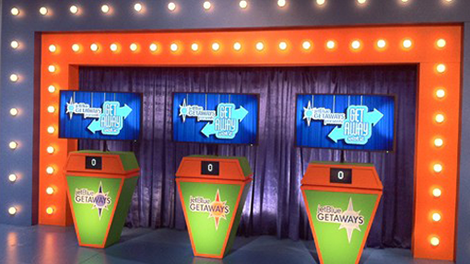 Whether you are using 2 buzzers or up to 50 game show buzzers, our powerful trivia software (included) will put your participants right into the seat of a real TV game show experience. Classic games, like Jeopardy, Family Feud, Hollywood Squares and Wheel of Fortune have been favorite TV game shows spanning decades. This is your opportunity to increase your bottom line while creating a fun, exciting, and memorable experience for the players and audience. Why purchase wireless buzzers? Whether you are a mobile entertainer or educator you will appreciate the advantages of having a wireless buzzer game system. Nowadays, we rely on and come to expect wireless technology. Why fumble with a bunch of wires when all you are looking for is a fun game show system that is hassle-free and easy to setup. DigiGames has innovated the most successful and attractive looking cordless game buzzers that people of all ages love to use. You can view our article how game show buzzers can get you a clear upper hand in your market and how to make money with trivia. 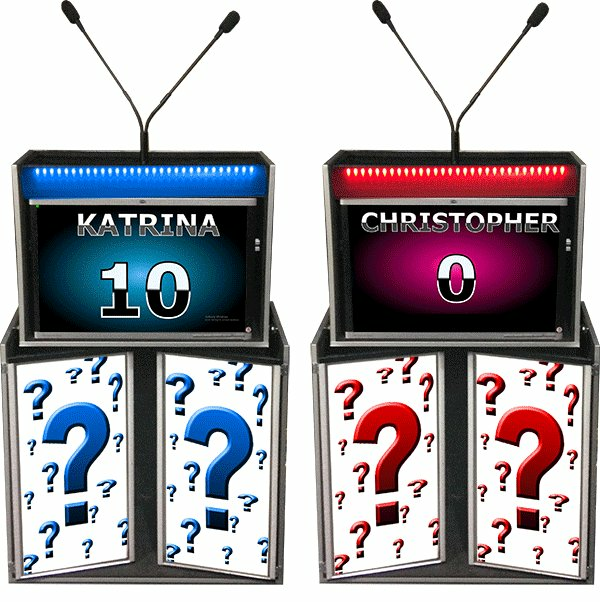 If you are an entertainer, you can use the wireless buzzer system for a spontaneous 5-minute trivia show. The idea of a random, spontaneous, fast trivia show is used by entertainers around the world to pump up the audience. A few well-chosen trivia questions about the Bride and Groom, or questions about certain songs that have already been played at the dance will set you apart from other DJ's and entertainers who just sit and do nothing. DigiGames also showcases our products at various trade shows around the country throughout the year. Be sure to contact us if we will be in your area soon. Generally, we do live shows for MobileBeat and other tradeshow agencies. This will give you an opportunity to get a hands-on understanding of our games and game show buzzer systems. Our Video Archives YouTube page also contains everything you need to know about our game show systems. For example, if you don't understand the terminology "Stand-alone" our helpful and informative videos will give you an in-depth explanation of how a stand-alone system works. While it is true that there are many companies on the market that manufacture a wide variety of buzzers for game, we know you will love our products, support, free updates for life, and ideas that will make you a successful entertainer or trainer. If you have ever been to a pen and paper trivia event, you will know that people can use their phones to cheat. While the host may try to catch cheaters, often times the 'non player' sitting at the bar is researching answers and relaying those answers to his friends that are actually playing. This is where having a trivia buzzer system for your events is crucial. Since only the first person who buzzes in can answer the question there is not enough time for players to cheat. Also, how can you charge what you are worth with a pen and paper method? Most entertainers that have transitioned from pen and paper report to us that they have been able to double their fee by using real buzzers for games. The impression people will get is that you are a professional entertainer when you set out the game show buzzers and not a stack of blank paper next to a bucket of pencils for people to use during the trivia show. Additionally, kids love to press a quiz buzzer. Since our buzzers and keypad systems are exceptionally durable you never have to worry about someone dropping and breaking it. 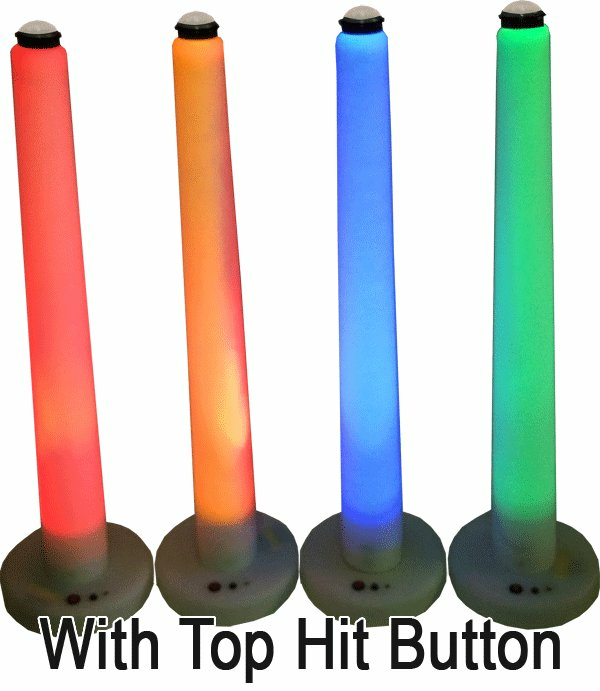 Kids will light up when you give them a quiz buzzer they can press to answer a trivia question. Not just kids, but older folks love them too. It is reported by our customers how the faces of grandmas and grandpas just light up when presented with a game buzzer and are invited to play. Some entertainers make their business centered around retirement homes. But, kids at an event tend to have a bunch of energy to burn off. Often times they are observed running around prior to the start of the DJ show. Often times older ones simply get annoyed when they observe that. However, the parents are just glad that the little ones aren't tugging on them! You would understand if you are a parent. This is a PRIME opportunity for the DJ or entertainer to save the day! When the DJ gathers all the youths in the audience into a circle and starts in on some DJ Trivia games not only are the youths subdued into a fun trivia game but the parents will likely kiss your feet! Ultimately though, its all about making the event fun for EVERYONE. That may be a bit of a daunting challenge for most, but our wireless game show buzzer systems provide the vehicle to make that possible. If you make FUN your top priority, and not the money, then the money will naturally come quickly. People will remember you. They will remember your quiz buzzer games. People will ask for your business card. They will contact you to DJ their events or company annual party. You will call us to thank us for such an amazing product! Check out a small sample of our testimonials submitted by our customers who use our trivia buzzer systems. Now THAT's Service! Got our cubes overnight, as promised, 10 am this morning! Love the cubes and can't wait to use them and expand to some of your other fun products. Thanks again for your rapid service! I can say, without a doubt, that this is one of the best companies I have dealt with in my life in business. You take customer service to a level that puts other companies that we buy from to shame. We are pleased to inform you that we received the goods yesterday morning (Malaysian Time). We would like to thank you for your kind assistance for helping us to process the order and ship out in the shortest possible time. Thank you again and we LOVE this system! It gets rave reviews and people have a blast! You guys are hands down the best out there. Thank you so much for everything. My business has 14 events a week now and 2 more on the way! I am rolling out extreme bingo and I have 2 places ready to go! Things are booming for me. If you could find an easy and fun way to generate more income, with minimum start-up costs and all the marketing and tech support you can carry, would you be game to try? If you buzzed in with a resounding "yes! ", we've got some good news: DigiGames' wireless game show system won't actually deposit money into your bank account; but it comes close. Taking its cue from highly successful (and highly addictive) trivia board games and TV shows, DigiGames taps into quiz-based entertainment's proven appeal with a range of instantly familiar interactive games using quiz buzzers that can make for great mid-week money and more. "Everyone loves game shows, and now you can offer all the fun and excitement of a live, network-style game show at your next event - or as your next event," says DigiGames' Rob Johnson. "DigiGames gives you the classic games and quiz buzzers we all know and love and the ability to customize them for any group or event."